One of the most versatile materials in home design to create a distinct accent for your countertops is concrete. 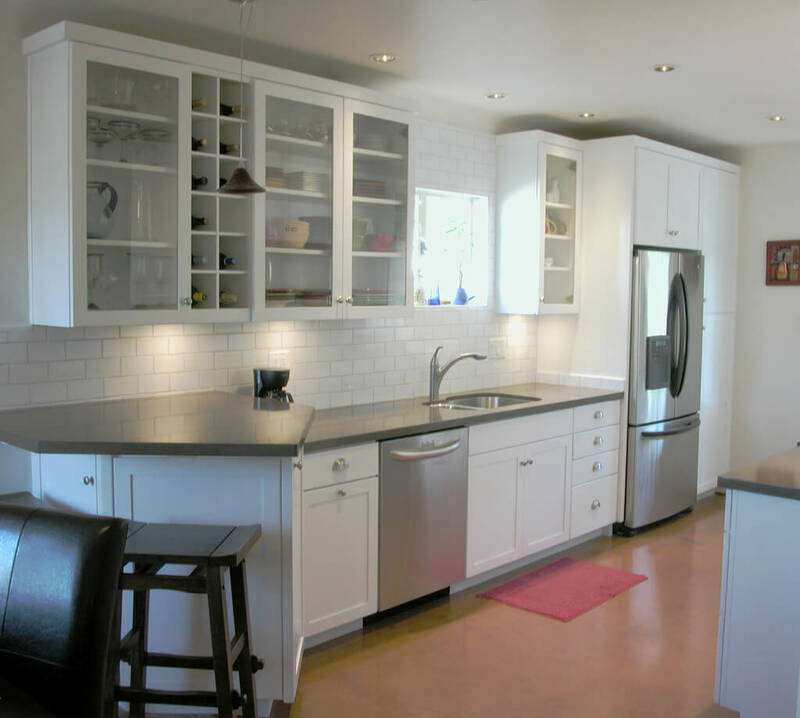 While often dismissed as homeowners may grimace at the thought of a sidewalk material used in their home, there are a number of options available to prevent concrete from presenting as an industrial finish in your kitchen or bathroom. In Edmonton, countertops are a fixture that offers an array of options. This article explores the both the pros and cons of this resilient material as part of your next customization in a new build or renovation. Of course, the leading case for concrete lies in its durability. Being both heat and scratch resistant, buyers can be assured that concrete countertops will stand up to most everything that life can throw at them. From pots and pans directly out of the oven in the kitchen or curling irons in the bathroom, concrete is resilient to heat. Also, the composition of the surface allows for cutting and chopping in food preparation without the use of a cutting board. What home buyers like most about concrete is that it is fully customizable. The material can be colored through pigmentation and textured to create a unique finish that is one of a kind. Skilled installers can also embed other features as well into the finish such as glass, shells, or other elements which speak to your own personal taste. As a homeowner, you’re limited by almost only your own imagination. Before you decide to use concrete, you should read plenty of reviews. It is important to remember that concrete countertops are porous and that they require sealing to prevent staining and other damage related to liquids and oils that may be used on the surface. Depending on the frequency of use and the wear and tear, re-sealing may be required on an annual basis. So, while striking in appearance, concrete may require a greater ongoing investment in maintenance to ensure that it retains its full value. The high price of concrete as a material also influences its popularity among installations of Edmonton countertops. If your project is strictly dictated by budget, concrete may be excluded from consideration from the outset. One final item to be aware of when selecting concrete countertops in Edmonton is that installation can require a lot of grinding to ensure a perfect fit within your home. As a result, this stage of the renovation project can be very dusty and messy within your home, so it is something to be aware of and prepare for. Concrete, like other stone finishes, can create a unique accent to your home’s design, but it is an investment that you will want to ensure that you have investigated to confirm that it offers the right fit for your project and in your home. For style ideas and to learn more about other installations, we welcome the opportunity to share the experience of our team with you to help you invest with confidence in a material that will add to the value of your home and stand as a feature you are proud of for years to come.